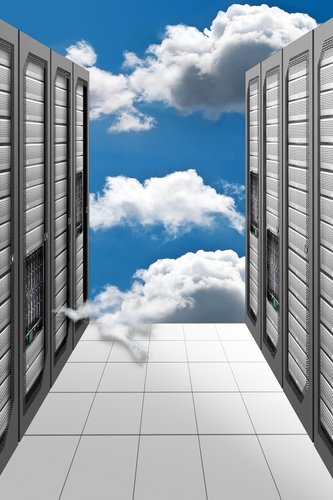 Cloud computing is the method of using a network of remote servers hosted on the Internet to store, manage, and process data, rather than a local personal computer, server or data center. Cloud computing makes computing resources easily accessible and affordable and the best part, its pay per use. Cloud computing today is divided into three categories. These classes are Infrastructure-as-a-Service or IaaS, Platform-as-a-Service or PaaS, and Software-as-a-Service or SaaS. You will look at them in detail to understand what they represent. IaaS type of cloud computing is focused on providing the most generalizable solution, and that is necessary infrastructure as a service. This could be On-premise or off-premise. These solutions offer the consumer storage, networking, and computing capacity as a service, sometimes in very high granularities of billing such as hourly. The consumer does not manage or control the underlying cloud infrastructure but has control over operating systems, storage, and deployed applications, and possibly limited control of select networking components, such as host firewalls. Customers use the provider's application program interface or API to start, stop, access, and configure their virtual servers and storage. In the enterprise, cloud computing enables a company to pay for only as much capacity as is needed, and bring more capacity online as soon as required. PaaS type of cloud computing delivers development environments as a service. You build your applications that run on the provider's infrastructure and are provided to your users through the Internet from the vendor's servers. Developers create applications on the provider's platform over the Internet. PaaS providers may use APIs, Website portals, or gateway software installed on the customer's computer. Here, the framework is what controls the underlying infrastructure, and the developer has to focus on the underlying mechanism. The consumer does not manage or monitor the underlying cloud infrastructure, including network, servers, operating systems, or storage, but has to control over the deployed applications and possibly application hosting environment configurations. SaaS type of cloud computing delivers a single application through the browser to thousands of customers using a multi-tenant architecture. On the user side, it means no upfront investment in servers or software licensing; on the provider side, with just one application to maintain, costs are low compared to conventional hosting. SaaS is an extensive market. Services can be anything from Web-based email to inventory control and database processing. Because the service provider hosts both the application and the data, the end user is free to use the service from anywhere. The consumer does not manage or control the underlying cloud infrastructure, including network, servers, operating systems, storage, or even individual application capabilities, with the possible exception of limited user-specific application configuration settings.